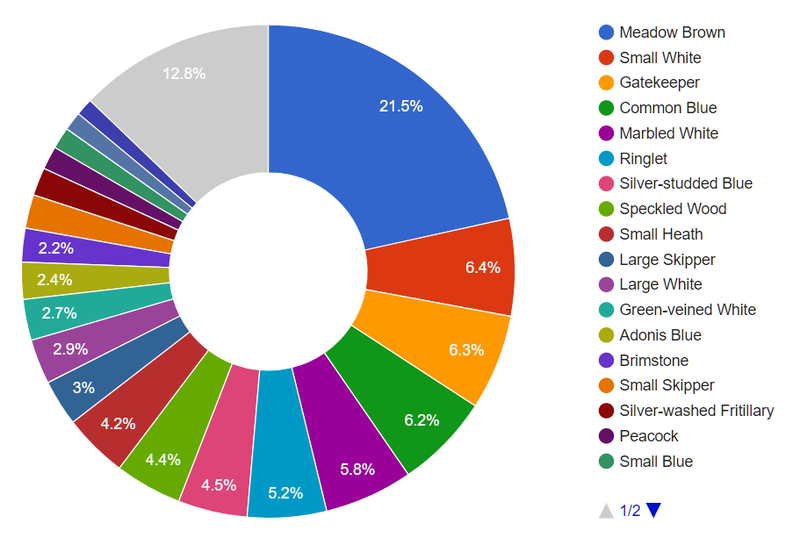 Working for the local branch of Butterfly Conservation I developed an online system to document sightings of butterflies submitted by members of the public in Dorset. This ‘citizen science’ project encourages engagement in nature conservation and adds to our knowledge of these vital environmental indicator species. In 2018 more than 44,000 butterflies were successfully recorded using this method. 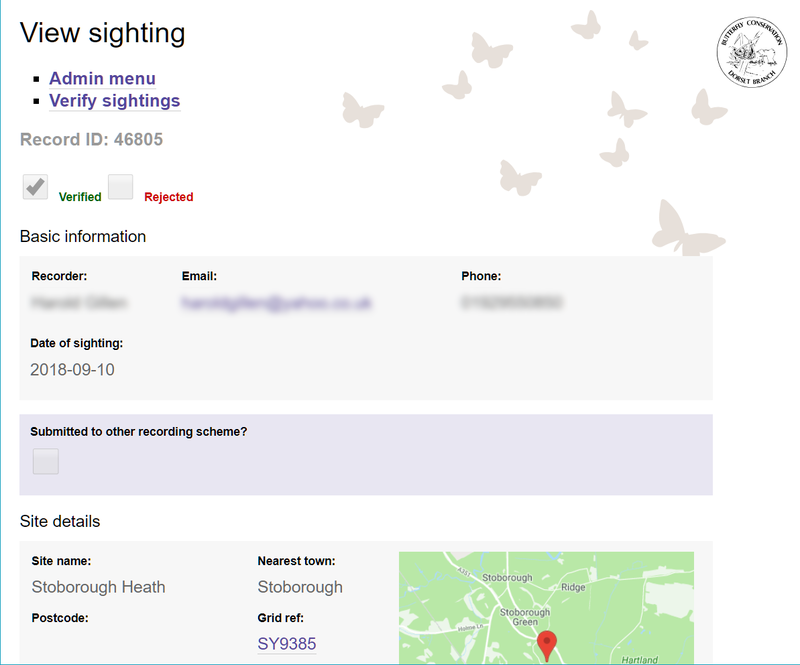 Initially butterfly spotters are directed to a web form which collects personal info, location details including grid reference, and species observed. 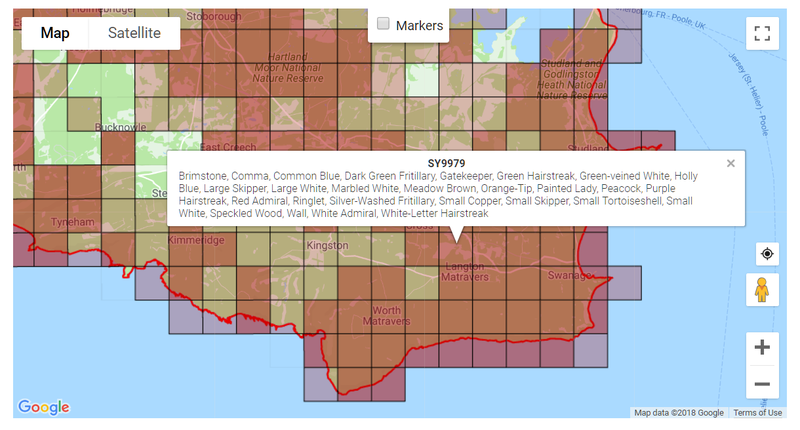 This information is then inserted into the Dorset Branch web sightings database. Local experts are given password-protected access to a record management interface on the branch website. Recently submitted butterfly sightings can be reviewed and verified with a single click. Questionable records can be studied in more detail and recorders contacted to clarify information as necessary. Verified records are instantly published to the branch website, using a number of graphical representations for easy interpretation. 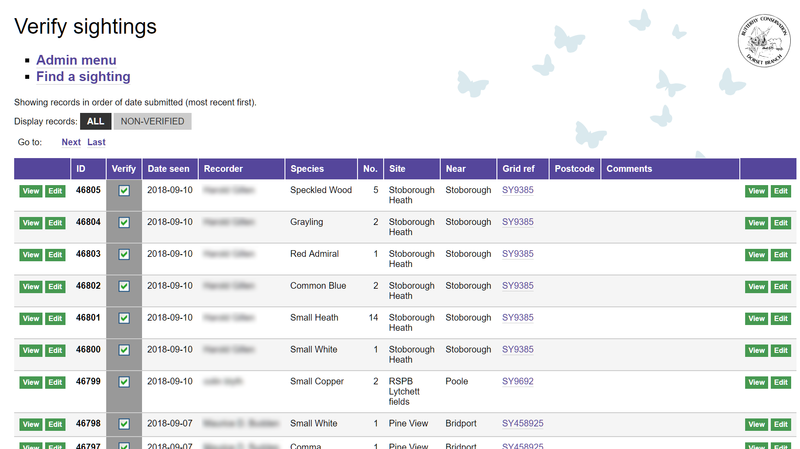 Butterfly sightings received via the website are archived online for the public to explore in greater depth. 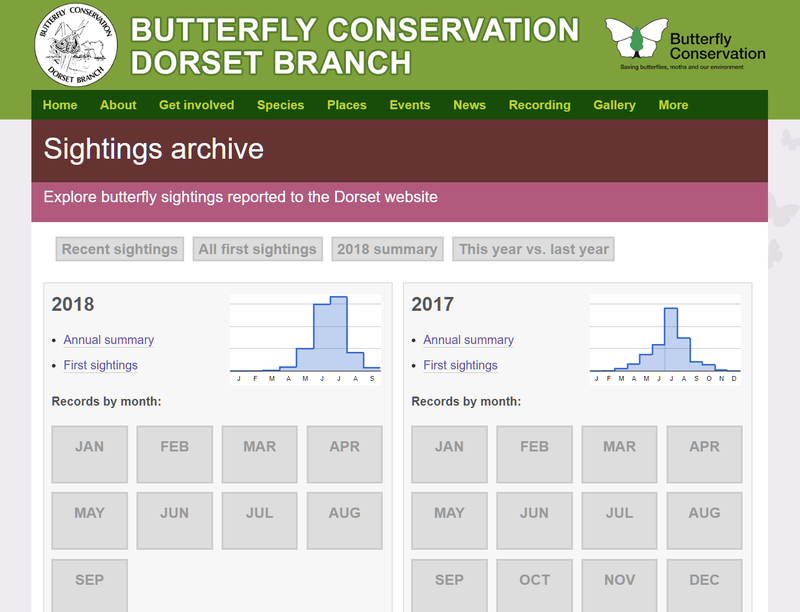 Casual sightings received via the branch website provide a useful snapshot of butterfly activity in Dorset. 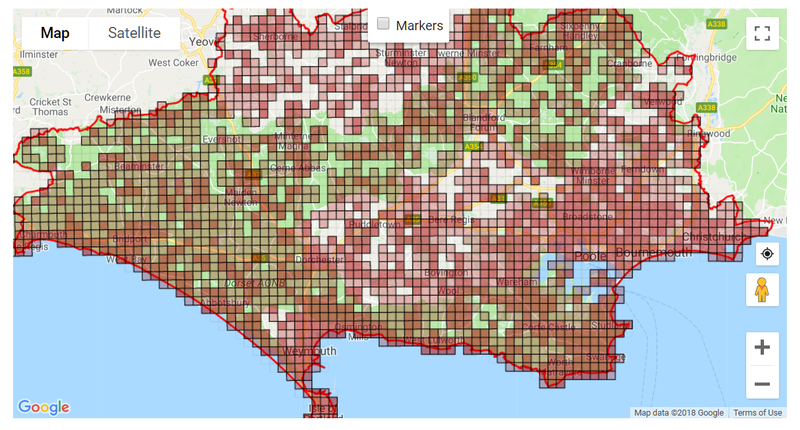 But for research purposes it’s necessary to combine them with data from formally structured butterfly transects and other recording schemes within the region and nationally. 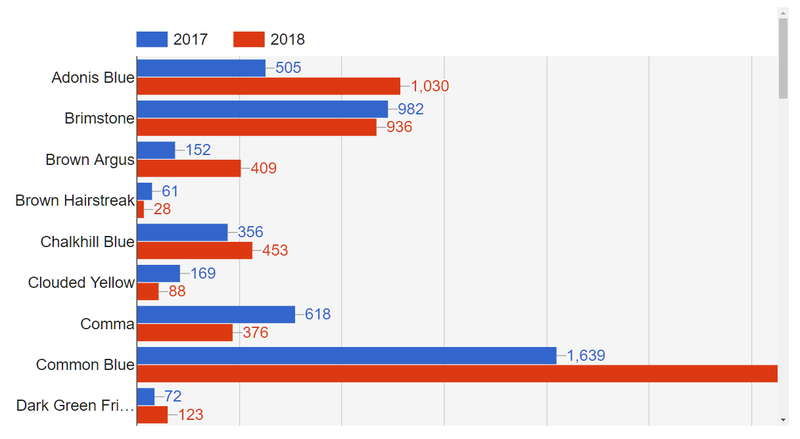 Website data is exported to the national society’s database annually. National butterfly recording cycles run for 5 years, at the end of which an ‘atlas’ is produced, showing the updated distribution of species and population trends. To encourage recording in under-represented areas an interactive ‘White Holes’ map is published on the branch website. 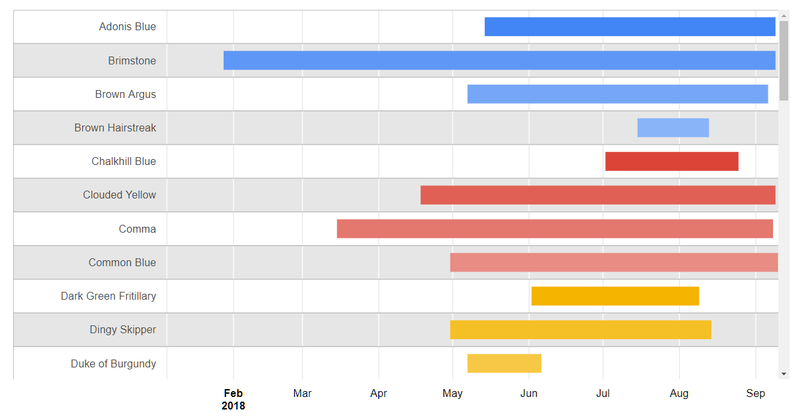 This combines data from the national database with more up-to-date regional web sightings. It’s possible to use this map on a GPS-enabled mobile device to locate the nearest White Hole for observation. 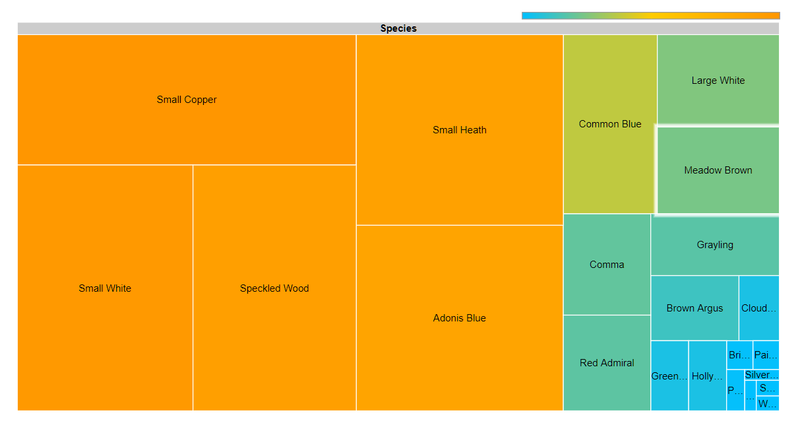 A list of previously recorded species for each 1km square is also presented. Over the past 4 years this recording system has gathered more than 180,000 individual butterfly records, contributing to our understanding of these beautiful creatures and the changing environment they inhabit.